Baxter of California creates carefully curated products that allow men to express their individual signature statement. Creating a signature look is critical since “Men’s Grooming” is a growing trend, and men are asking for more custom styles to reflect their individuality. 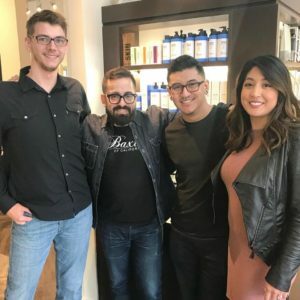 Baxter Global Educator Josh Velazquez shared several techniques to expand our stylists’ range of skills regarding men’s cutting and styling. 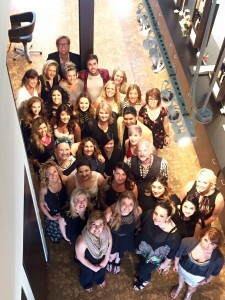 Samuel Cole Salon’s education has kept stylists’ skills on the forefront of new trends for men. Velazquez demonstrated a short, textured crop haircut that can be styled polished for a formal evening with Baxter’s Hard Water Pomade or textured for a casual day watching the game with their Clay Effect Style Spray. Velazquez also demonstrated a taper cut with a short, precise fade – perfect for gentlemen who like to maintain a clean, consistent look. 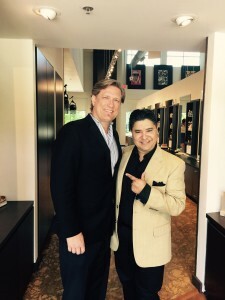 Oribe Educators Coby Alcantar + Gardner Edmunds, highly sought after stylists in the current world of hairdressing. 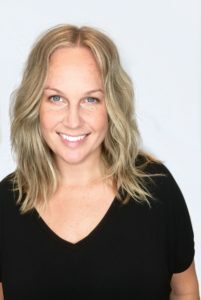 Coby owns Little Axe Salon in Brooklyn, NY where she creates fun and effortless styles for her clients, and Gardner’s salon home is Ramirez Tran Salon in Beverly Hills, CA. His notable clients include Lea Michele, Olivia Palermo, Rebecca Minkoff and Kim Cattrall. 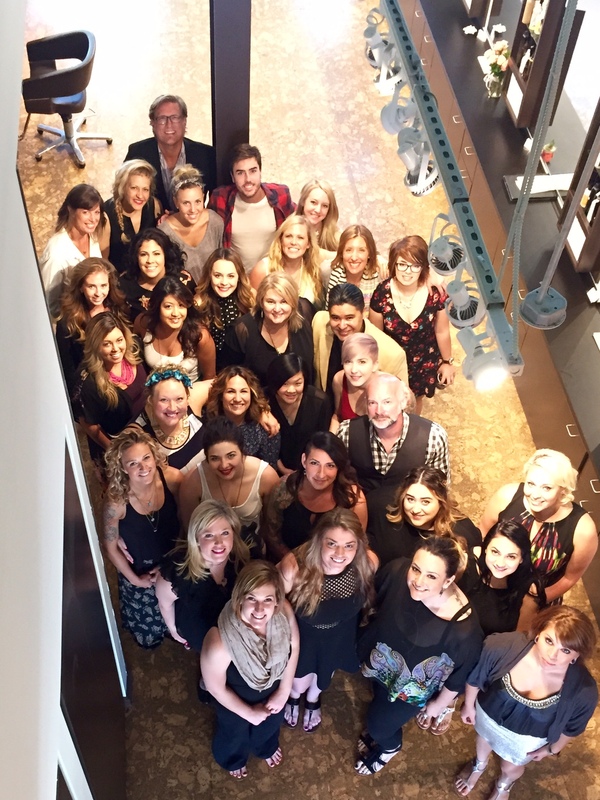 Their combined expertise brought incredible energy to this class, which focused cutting inner layers that don’t sacrifice overall length of the hair. This technique can be used on all lengths of hair. The final look was a light and airy style that allowed the hair to move freely. To style the haircut, they used a combination of Oribe Foundation Mist, Maximista and Featherbalm on damp hair, and twisted the hair damp and let it air dry. Reuben Carranza, President of Luxury Brand Partners brands, R + Co and V76, recently visited Samuel Cole Salon. 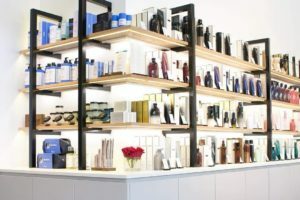 Reuben left his role as CEO of The Wella Professional Division of Proctor and Gamble to join the corporation LBP, which is revolutionizing the luxury beauty market. 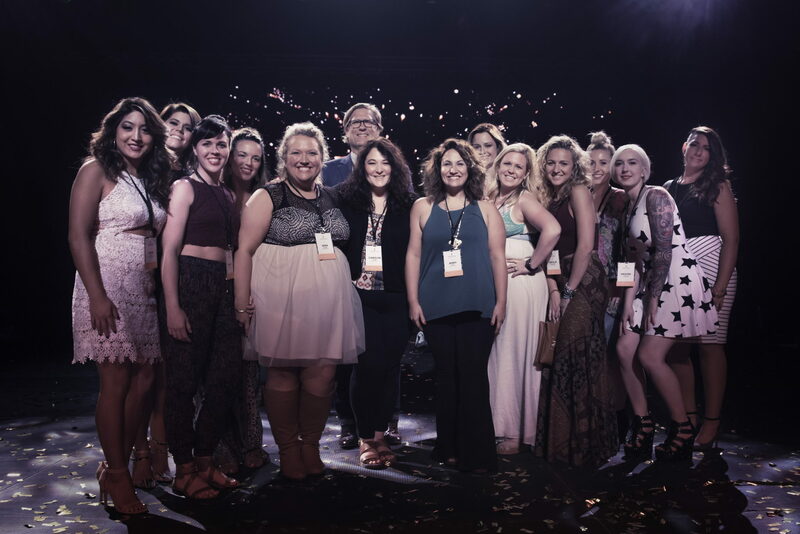 Reuben’s talk focused on helping stylist identify their career “sweet spot”. He emphasized the need for each individual stylist to find what is important to them and identify what their ‘brand” means. It’s very important to be able to take a step back to evaluate their work and also to have a sponsor or mentor evaluate them as well. Someone on the outside can find the blind spots they might not be able to see from within. It’s about connecting with their clients on another level. A professional who is consistently giving a great performance will see it reflected in their work. Reuben’s talk on branding yourself revolved around the importance of evaluating your career based on performance, image and exposure. Your performance, should be outstanding and consistent in terms of your technical skill. Image showcases the mental impression you make with others. Exposure focused on getting your name out there to fuel your career success with social media being a means to document your work then posting it for others to see your creativity.